I am really entranced by this sleek re-purposed container terrarium. 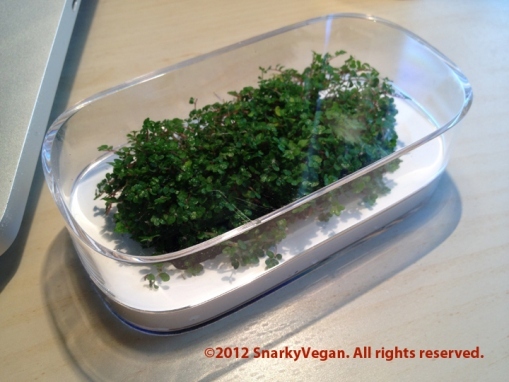 The snarkyvegan used the packaging from an Apple mouse to create a Baby's Tears terrarium. Note that she used that white liner layer of the packaging to separate the top of the soil from the open part of the terrarium "for an especially Apple-clean appearance." I love it!